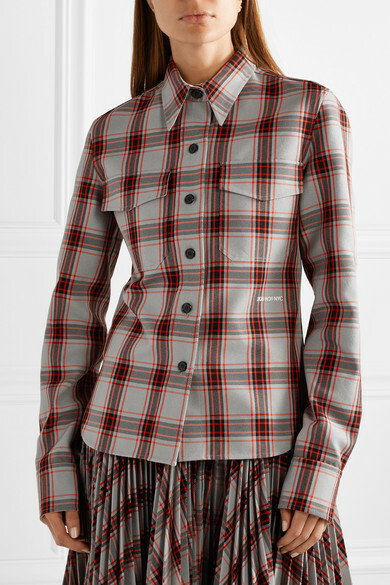 A checked shirt is a must-have piece in any stylish woman's wardrobe. 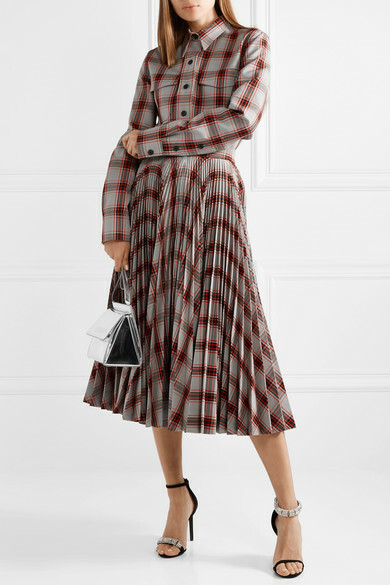 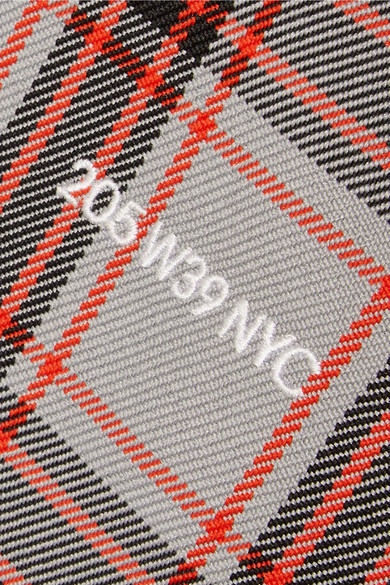 CALVIN KLEIN 205W39NYC's version has been cut in Italy from twill for a structured fit and detailed with black buttons through the front and along the cuffs. 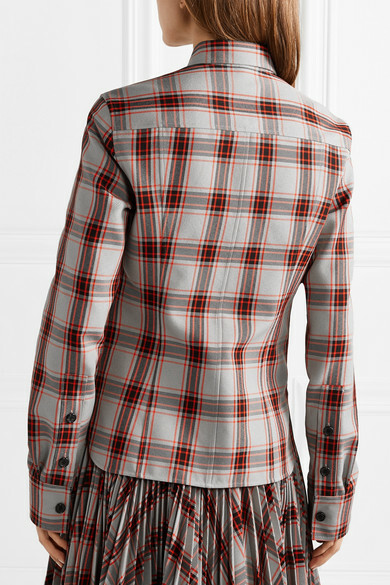 Wear yours layered over a T-shirt with jeans, or team it with the matching skirt.